Thomas Stone of Juneau, WI. He was a child of God who was called home, Saturday, March 16, 2019 at the age of 62 years. 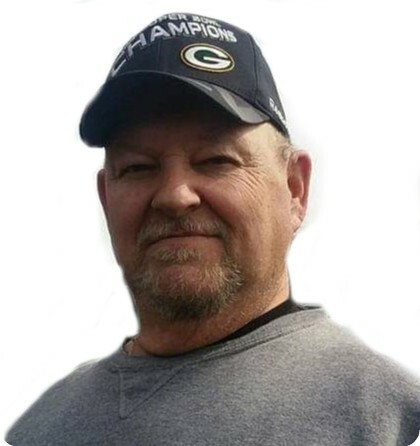 Thomas Arthur Stone, 62, beloved husband of Cindy Stone (Weishar) for 46 years and beloved father of Clayton Stone, Cari Pichler, Cheri Love and Constance Stone. Further survived by 9 grandchildren and 3 great grandchildren. Tom loved his wife and children more than anything in this world. He often visited "The Property" in White Lake, WI, land he and his wife owned for 20+ years, to enjoy camping, hunting and fishing with his family. Tom dreamed big but was unfortunately overcome by cancer the 2nd time around. We ask that everyone, please keep our Mother in their prayers, for this is the first and only love of her life and we are all lost without the backbone of the family. God Bless. He is survived by his loving wife Cindy (Weishar) Stone and his loving children, Clayton, Cari, Constance (David Pruitt) Stone and Cheri (Derrick) Love. Also survived by nine grandchildren; Courtney Stone, Cindy Stone, Jonathan Pichler, Clayton Stone Jr., Carmella Stone, Tony Stone, Cameron Stone, Aniyah Stone, and Damari Love. Three great grandchildren; Natalya, Liam and Brynlee Stone. Nieces, nephews’ other relatives and friends. Proceeded in death by his parents and his son Tony Loomis. Anyone who knew Tom is welcome to join his home- going on March 23, 2019 from 10 am to 1pm with Funeral service following, at the Berndt-Ledesma Funeral Home, 150 W. Oak Grove Street, Juneau, WI. Private interment at Wisconsin Memorial Park.